UltraSn0w 1.2.5 was released earlier today and it added support for iOS 5.0.1 and select basebands. Below is a tutorial to get your iPhone unlocked on iOS 5.0.1. Make sure you have a compatible baseband for this unlock. To check this go to Settings > General > About and look at the “Modem Firmware” section at the bottom of the page. You can only unlock your device if you have one of the following basebands: 01.59.00, 04.26.08, 05.11.07, 05.12.01, 05.13.04, or 06.15.00. Jailbreak your device. A tutorial for that can be found here. Open Cydia and search for “UltraSn0w” then Install UltraSn0w 1.2.5. If it’s not there, add the source “http://repo666.ultrasn0w.com.” and then it should show up. Remove your old SIM card and replace it with a new SIM card (e.g. a T-Mobile SIM). You may need to cut your SIM to fit the micro-SIM slot. Congrats! 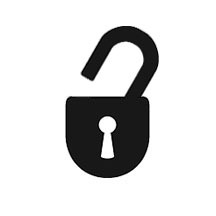 You are now unlocked on iOS 5.0.1. If you run into any issues or have any questions, leave a comment below.